*This is a compensated post, as well as a post that contains affiliate links. I want to start by saying that I almost never write posts like this. I have nothing against bloggers who write sponsored posts, but I struggle with having to write something that doesn't feel authentic to me. It's not my job to sell you on things and my opinion might not be the same as yours. But, once in a while the opportunity to get paid to write a post I would write anyway comes along and I have to jump on board. I have been participating in the Cricut Design Space challenge and have made it into the top 10 a couple of times. In order to participate, Cricut sent me a new Explore machine. I have been a cricut owner for years and purchased my previous machines. I was super excited to get to try out this new machine. I had heard such great things about it and I have to say, I was not disappointed. #10- The new I-pad app. This app is in Beta testing and will be released in January, but I was able to participate in a webinar that showed how this app will work and I have to say I'm super impressed. I don't even own an i-pad, but I might need to fix that. ;) The reason this is in my top 10 is not necessarily because of the app, but because it is a reflection of the responsiveness that Cricut has developed to its customers. People asked for an app, the ability to design remotely and one that would work on the i-pad- and Cricut listened. They are listening to the Facebook groups and what their customers are saying and I think that's amazing. I believe they truly care what their customers think, and I couldn't always say that. They are making huge strides to turn things around in this area. They are also working tirelessly to bring new features and tools that people want. So, if a specific feature isn't available yet- wait a bit and I'm sure it will be. #7- Print then Cut. All of the Cricut images are available to be turned into printables- with a simple click of the mouse. #6- Creating your own images. I'll admit that the ability of the Silhouette to manipulate the images you are cutting, and to upload your own images was something I envied for a long time. 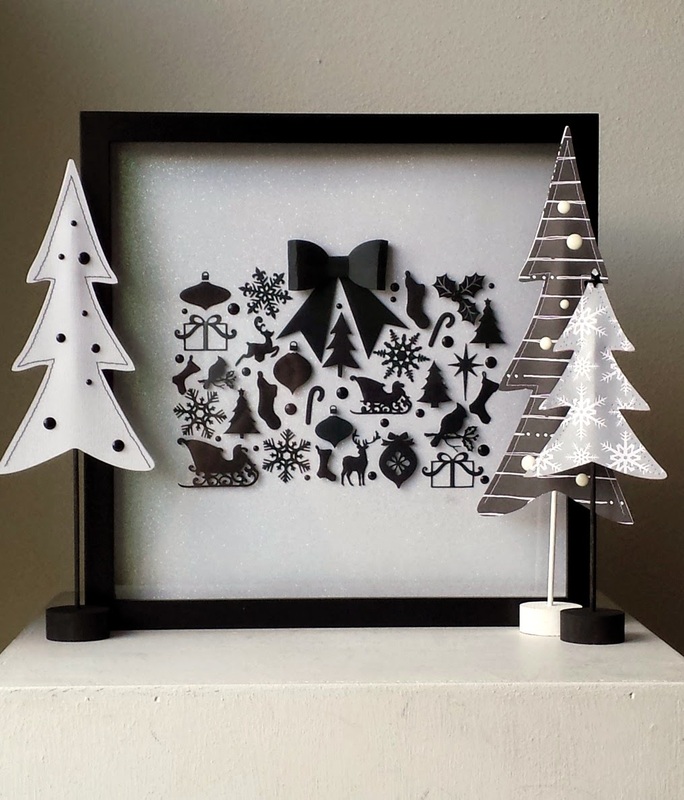 I am so thrilled that first with Craft room, and now with Design Space, Cricut allows you the versatility to take your projects to even greater heights. :) From welding letters to create one cut image, to slicing off bits and pieces, to arranging them on the mat for projects using vinyl and heat transfer, you have so many more options now. 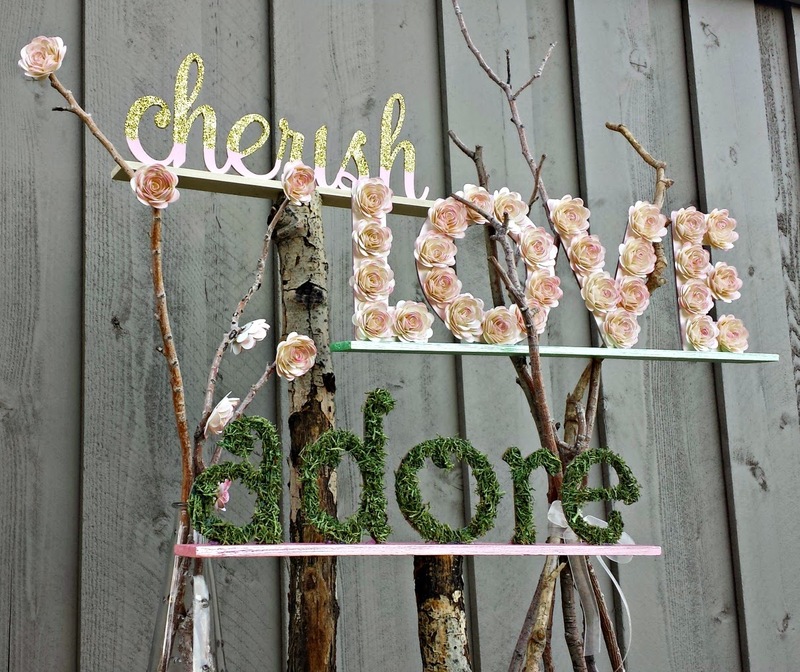 I used the weld feature to create the cherish word art in this project. #5- uploading your own files is free. You can purchase external .svg, .jpeg or other cut files, or create your own in other software, such as Adobe Illustrator and upload them to Design Space at no cost. 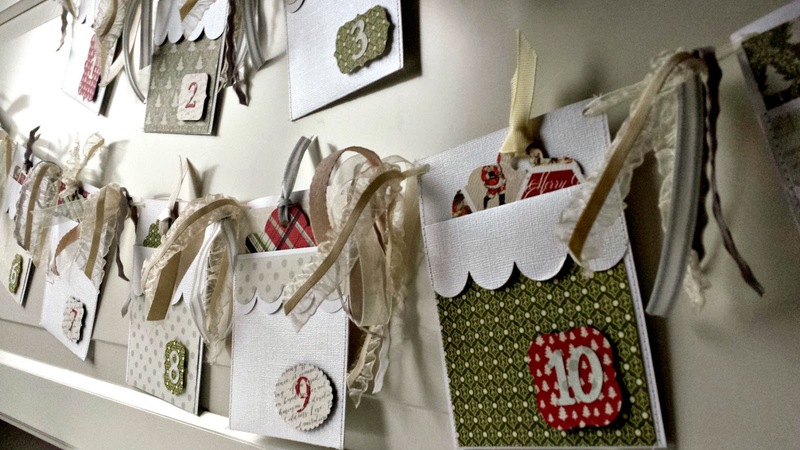 It's exactly the feature I used in my Scalloped Advent Banner. #4- Write, Cut and Score- I love all of these features. I have not used the pens much- YET. But, I have some great plans ahead for those. I do love the score tool and the cuts, well they are awesome. #2- The materials the new machine can cut. In addition to how precise it is, this machine can cut everything from leather to balsa wood. It's pretty impressive. I even took a piece of laminated cotton and threw it on a mat to see if it would cut- it worked like a dream. I have much more playing to do with this feature, but I have been super impressed so far. #1- Ease of use. This is far and away my favorite feature. Most of the bloggers I talk to think this is a downside, but honestly, I don't always have time to build a project from scratch. Sometimes I just want to load a project and get cutting. The software, machine and app are all intuitive and are built to be user friendly and simple to understand. I love that when I have a specific project in mind I can create it myself, or if I just want to create- I can jump on Design Space and get going. So there you have it, my reasons for loving the Cricut Explore. There will probably be more along the way. :) I'm sorry if you're seeing a lot of posts like this in your feed right now, as you can imagine, there is a huge push before Black Friday to generate a buzz, but if you've read this long, then hopefully that means you value my opinion. I really do love my Explore. I've been a huge Cricut fan for years and I'm so grateful for the opportunities I have had to create great projects and participate in the Design Space star contest. If you have any other questions about the Explore, feel free to ask in the comments or e-mail me. I really really really want one of these. And all of the reasons you just listed completely jive with me. I really hope I can get one soon! Thanks for a sincere review.